Why should you use SERVPRO when a disaster strikes your Long Beach/Oceanside home or business? We are faster to any size emergency. We have the training, the equipment and experience to respond immediately to your emergency. We are local members of this community! We deal with not only fire, water, storm emergencies! We also handle mold remediation services, general cleaning, Biohazard removal, Odor Removal and sewage removal! Our technicians are well versed in all aspects of restoration and are compassionate to your needs. We understand how upsetting these situations can be are are always here to help! Why choose SERVPRO of Long Beach/Oceanside? You might be asking yourself. Why SERVPRO? What makes them stand out among other restoration companies? 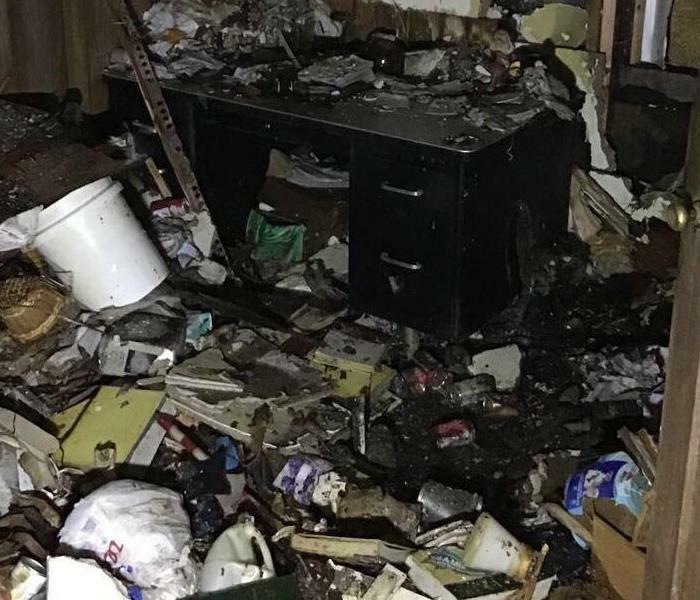 Well here at SERVPRO of Long Beach/Oceanside we specialize in the cleanup and restoration of residential and commercial properties after fire, smoke or water damage. Our staff is highly trained in property damage restoration! From initial to ongoing training at SERVPRO Corporate to e-learnings, continuing education classes, IICRC courses..we are constantly learning and evolving using the most innovative drying technology. You can rest assured your home and the contents inside of it are in good hands! If your home or business has been affected by a fire, storm, water damage- need a mold clean up? General cleaning? Contact us at SERVPRO of Long Beach/Oceanside today at 516-536-1801! Workplace Emergencies that can Affect your Long Beach/Oceanside Business! A workplace emergency is an event that occurs that could endanger your employees, clients, the public or causes damage and disruption to your workplace operations & environment. Workplace emergencies come in a variety of forms and understanding these types of emergencies that may occur at your business and the steps that should be taken to handle them is crucial to your Long Beach/Oceanside business! Work-Related Emergency- These emergencies are caused by factors relating directly to the work conduction such as a chemical spill, machinery malfunction, or dangerous gas leak. Natural Emergencies- this is the biggest type of an emergency that a workplace may experience & is also the hardest to plan for as weather can be extremely unpredictable. A natural emergency can occur as a result of flooding, fires, hurricanes, tornadoes, snow or really any type of severe weather condition. In order to minimize the damage in these cases is to have a well though out plan in place. The plan you create should e tailored specifically to your workplace. Have a clear chain of command as this will help prevent any confusion during an emergency. Make sure you have evacuation procedures in order and make sure all fire alarms are up to date. If your business has been affected by a storm related emergency call SERVPRO of Long Beach/Oceanside we'll handle the clean up so you can get back to your business in not time. Contact us today at 516-536-1801. The purpose of having a fire prevention plan is to prevent a fire from occurring in your home. Here are some great tips from http://home.nyc.gov/html/fdny/pdf/rcny/rcny_fire_safety_plan_2_emerg_info_sect.pdf on basic fire prevention. Your home should be equipped with a smoke detector and you should periodically check them to make sure that they work. Replace batteries in the spring and fall when you move your clocks forward and back. Carelessly handed of discarded cigarettes are the leading cause of fire deaths. Never smoke in bed or when you are drowsy and be especially careful when you are smoking on a sofa. Be sure to extinguish every cigarette in an ashtray that is deep and wont tip over. Matched and lighters can be deadly in the hands of children. Store them out of reach. Do not leave cooking unattended. Keep your stove top clean and free of items that can catch on fire. Before your go to bed, check your kitchen to ensure that your oven is off and an coffee or teapot is unplugged. Never overload electrical outlets. Replace any electric cord that is cracked or frayed. Never run extension cords under rugs. Prepare an emergency escape route with members of your household. Choose a meeting place within safe distance of your home where you should all meet in case you get separated during a fire. Exercise care in the use and placement of fresh cut decorative greens, such as Christmas trees and holiday wreaths. If possible, keep then planted or in water. Keep decorative greens away from any flames, including fire places. Do not keep for extended periods of time, as they dry, decorative greens become more easily combustible. Office buildings are places where large numbers of people stay throughout their day at work. If emergencies occur management must ensure an ordered and timely evacuation. In order to do so, as management you should develop an emergency evacuation plan in which you post in key locations inside each floor of your building. Each employee in the building should be aware and familiar with escape routes. By being prepared your employees will not panic and will respond to an emergency as quickly as possible. As a business owner, you should observe each room of your building carefully. Find locations for an emergency phone, a fire hose and an extinguisher. You should always discuss the plan escape routes and aim to identify at least two routes for each room. By doing this you & your employees will be prepared and ready for action & to get out safely! Different Types of Water Damage that Can Affect your Long Beach/Oceanside Home! Roofing- Most flat roofs use drains to evacuate water be sure to have these drains annually inspected and cleaned of any debris or sludge that may have accumulated especially during the winter months. Water Heaters- Corrosion can damage your tank and lead to leakage. Sewer back-ups- Make sure that your main waste water pipe is fitted properly with a back-flow valve. Ground Water Infiltration- This is very common in our area. Consider looking into a sump pump drainage system. 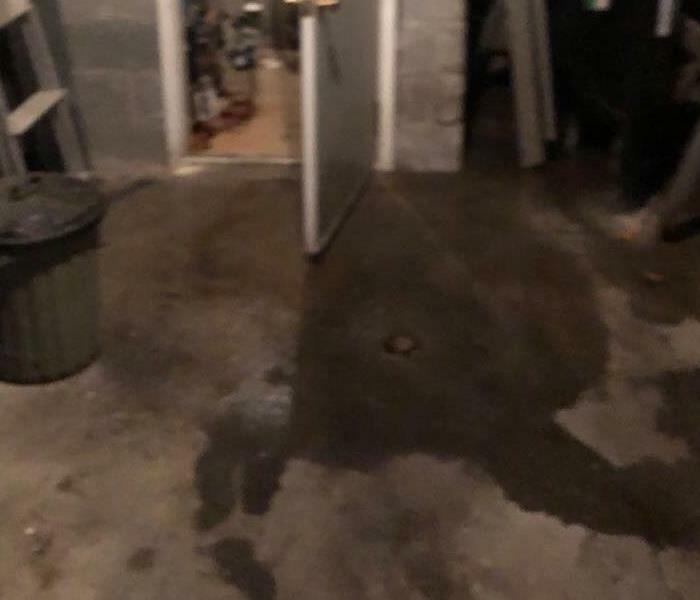 If your home or business has been affected by any type of water damage be sure to contact us at SERVPRO of Long Beach/Oceanside we will make sure your home will look "Like it never even happened." 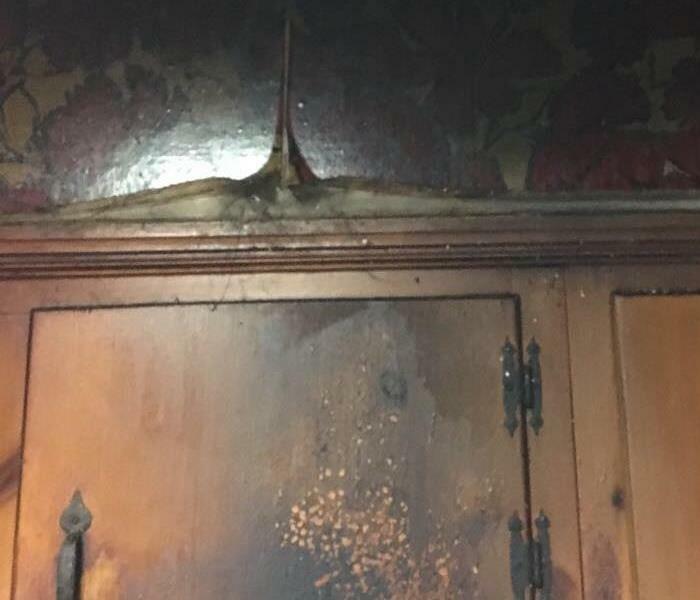 What Happens When Lightning Strikes your Long Beach/Oceanside Home? While many homes are built to withstand lightning strikes without having any major damage..But there is always a change that this can happen to you! When lightening strikes your home it can travel in a number of directions. Roofing generally is the one that takes the biggest hit but also metal gutters can as well. The surge will usually take the path of least resistance, which means that the electricity can run through all of the wiring and plumbing in your home.. while some evidence of this may be obvious some times it is not and the affected plumbing and wiring may burn slowly inside the walls without you even realizing it! If you're ever in the situation where your home has a fire due to a lightning storm be sure to contact SERVPRO of Long Beach/Oceanside at 516-536-1801! Fires can strike your home for various reasons this can be one of the most scary & stressful situations you ever experience in your life. We want our Long Beach/Oceanside residents to know that we are always here to assist and help restore your home.. But what is the first step to take after your home has significant fire damage? Fires may leave walls, doors, windows and roofing compromised. This will leave your home or business extremely vulnerable to break-ins, looting, vandalism or further damage from whether elements. If your home or business has been affected by a fire be sure to contact us at SERVPRO of Long Beach/Oceanside! We are highly trained technicians who specialize in fire damage restoration. We want to make the process easy for you so you can be back in your home with your belongings before you know it! Contact us today at 516-536-1801! Warm weather is quickly approaching us! Having a lot of humid weather can not only be uncomfortable in your home it can also pose a threat to your homes structure and surfaces. Avoid activities that can add moisture to the air. Such as hot showers or using the stove/oven. If your home has a flood or excess moisture is trapped in it be sure to contact SERVPRO of Long Beach/Oceanside at 516-536-1801! Accumulation- This is the most obvious sign that you have water damage. Standing or pooling water can results from old washing machines, water heaters or even toilets. Leaking water can be from your roof or drain pipe. Discoloration- Look for water spots or stains on your ceiling. Walls may also have some cracks or bubbling. Odor- Smells may come from basements, walls, or other areas that have been accumulating water over a long period of time. 4/3/2019 - Why choose SERVPRO of Long Beach/Oceanside? 4/1/2019 - Workplace Emergencies that can Affect your Long Beach/Oceanside Business! 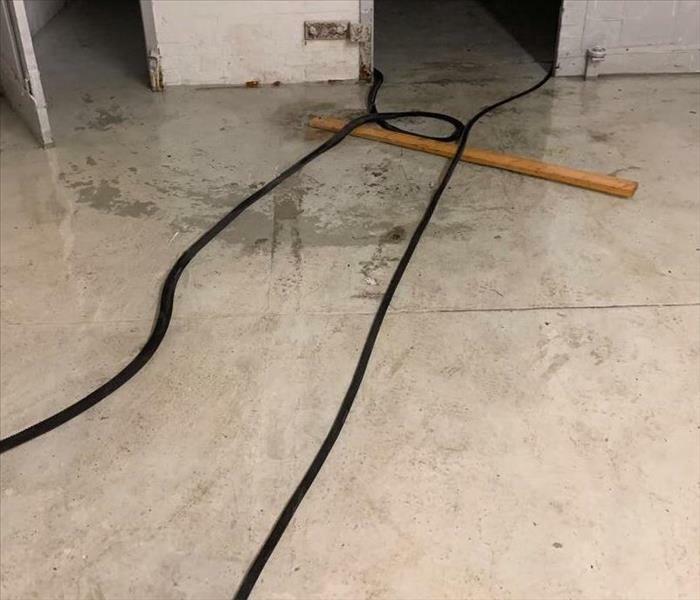 3/28/2019 - Different Types of Water Damage that Can Affect your Long Beach/Oceanside Home! 3/28/2019 - What Happens When Lightning Strikes your Long Beach/Oceanside Home?